Visualize the forecast, for anywhere in the world, with the unique Flowx weather map and graphs. Move your finger across the screen to control the forecast animation over time. Select the data for your needs from 30+ data types and 16 forecast models, including GFS, GDPS, NAM, HRRR, ICON, ICON-EU, APERGE, AROME, HIRLAM, COSMO-D2, RDPS & HRDPS. Use Flowx to plan around the weather, for aviation, fishing, sailing, surfing, cycling, hiking, photography, storm tracking or anyone interested in the weather. The Flowx advantage is that forecast data is shown on an interactive map, giving you the ‘big picture’ and enabling you to understand the weather. With Flowx, you have control of the forecast information: compare models and interpret what the data means for you, so you can best plan your activities. 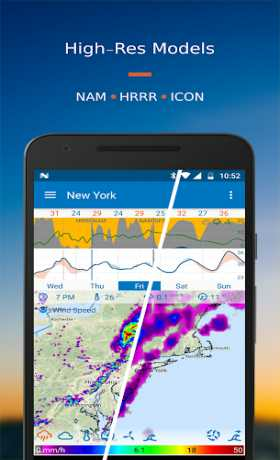 Flowx was awarded Google Play Editors’ Choice: The 5 Best Weather Forecast Apps. Data Types: 30+ data types including precipitation, cloud, wind, temperature, pressure, humidity, waves and more. 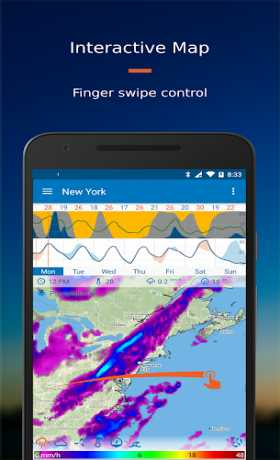 Map: use finger swiping to control the forecast animation over time. Choose multiple data layers to display on the map, for example precipitation and cloud layers with wind streamlines. Graphs: view the week’s weather forecast data at a glance. Choose from a selection of graphs including the useful Precipitation/Cloud/Wind graph and DeltaTemp graph which compares the temperature to the previous day and indicates warm and cold fronts. Wind Streamlines: animated streamlines indicate wind speed and direction. Wavefronts: animated wavefront lines indicate wave direction. Widget: resize your widget to display multiple graphs. 10-Day Forecast: with pro version you can view the 10-day GFS and GDPS forecasts. Graph Editor: with pro version you can customize your graphs by selecting data types. Map Styles: with pro version you can choose from multiple map options. Travel Mode: automatically updates the forecast for wherever you are in the world. 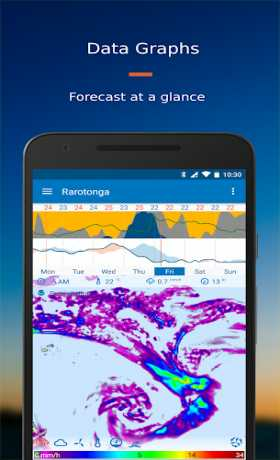 Offline Use: after updating the data, use the app offline to view the forecast without internet. Pro Versions: choose the pro version option that best suits your needs, see in app for details. 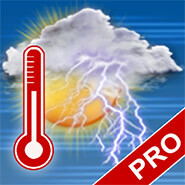 Try Flowx Today: visualize the forecast and understand weather systems – it’s the smart way to plan around the weather. Join us at forum.flowx.io to ask questions and discuss ideas.